Edwin Robinson, superintendent of Durant Public School District, has his back turned to the doorway of the Senate gallery, so he doesn’t immediately notice the children, some dressed in green and white hoodies, trooping from the entrance behind him. “It was disappointing,” Robinson is saying to a reporter after an education committee meeting. But even with his back turned, they recognize him. Several pairs of eyes train on the stiff line of his shoulders, his tense posture. Several children wave, nudge their neighbors in line—“It’s Mr. Robinson!”—before trailing around the corner, continuing their tour of the Capitol. “Oh, these are my babies,” Robinson said, momentarily distracted from the interview, but visibly reinvigorated, as some of the children in line break free of the chain to crowd around him. Because of SB 2494, authored by Senate Education Committee Chairman Sen. Gray Tollison, R-Oxford, Robinson’s school district is up for involuntary consolidation with the neighboring Holmes County School District. Robinson was unable to speak in opposition of the bill in the committee meeting, because its author, Tollison, said there wasn’t enough time. The Senate Education Committee meeting passed quickly. Sen. Lydia Chassaniol, R-Winona, stood up to speak in support of consolidation in her school district, which is in a different bill Tollison authored. If Tollison’s bill passes, Robinson’s more than 400 babies would grow substantially to include the children of the Holmes County School District. But Durant and Holmes County have fought against consolidation since last year; in a December 2015 press release, the Durant Public School District Board of Trustees and the Commission on Holmes-Durant Consolidated School Structure expressed their solid opposition to Rep. Toby Barker’s, R-Hattiesburg, House Bill 572, which required them to establish a commission last year in order to prepare their districts for consolidation. “We spent a lot of time and effort drafting it (the report), so it was disappointing that we weren’t able to present it,” Robinson said. Tollison supports consolidation for the district because he says its tax base, valued at almost $10 million, can’t sustain the operation of the school district. With Holmes County’s at $100 million, Tollison says the consolidation would give them a $100 million tax base. Robinson says his district operates at $300,000 of their $5 million yearly budget for administrative costs, and that his district’s MAEP dollars fund instructional costs—just like a high majority of other school districts in the state. And despite Durant’s small tax base, their student achievement and graduation rate both are higher than those at Holmes. 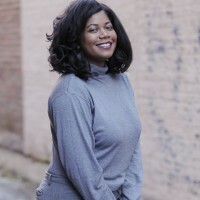 “We have opposition statement letters from the mayor, from our school district, from Holmes County School District, and the same information was conveyed during the hearing, so it’s as if the Legislature is not listening to the citizens of Durant or Holmes County,” Robinson said in a later phone interview with the Jackson Free Press. Robinson, 39, is a long-time educator with a decorated resume. He has a bachelor’s degree in science education from Mississippi Valley State University. He has a master’s in higher education from the University of Mississippi, and an MBA from Regis University. 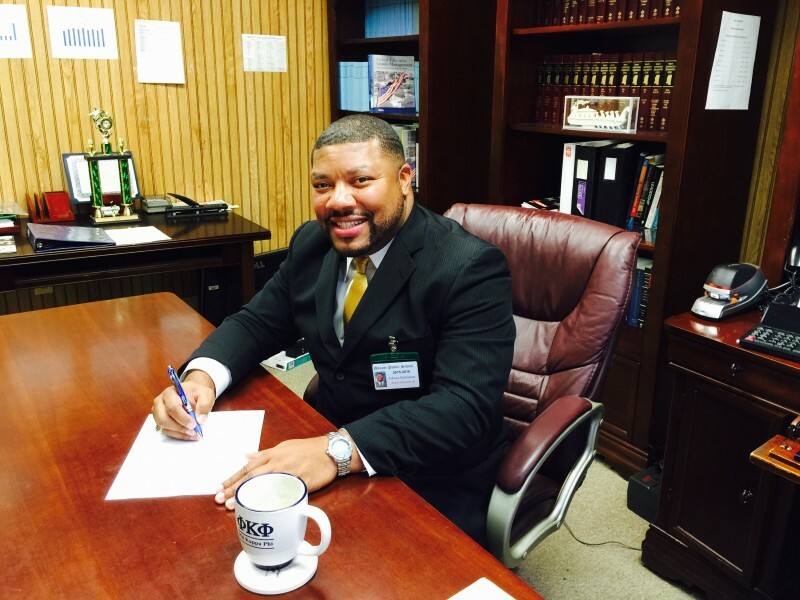 He recently defended his doctoral dissertation in educational administration from Mississippi State University. In his nearly 15-year career, he’s been a science teacher and a principal. He’s presented and lectured on his education research at national conferences. He helped oversee a $4.9 million grant to implement magnet schools in the Clarksdale Municipal School District, and helped the W.A. Higgins Academy of Arts and International Studies implement both a performing arts and an international studies magnet program. “What are you doing here, Mr. Robinson?” a Durant student who peeled away from the line snaking around the corner asks him at the Capitol Thursday. “Fighting for you,” he says.